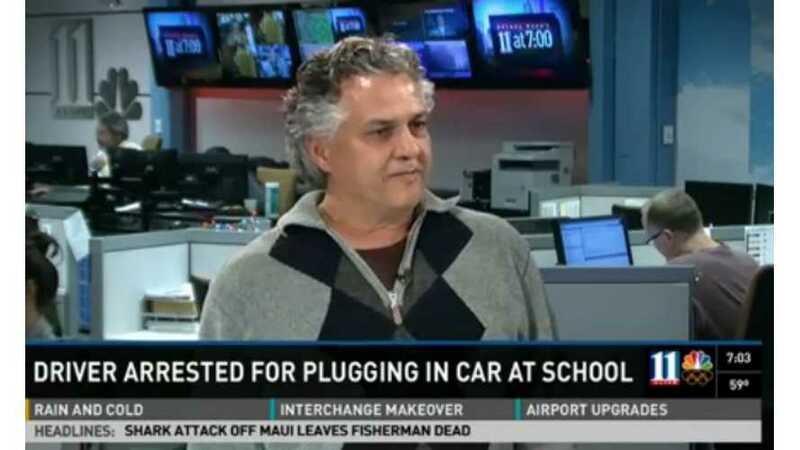 Remember the Nissan LEAF owner who was arrested for stealing 5 cents worth of electricity? After his arrest, the police issued a lengthy statement on the matter, which basically stated that Mr. Kamooneh (the LEAF owner who was arrested for electricity theft) was uncooperative, argumentative and that he had previously been advised that he wasn't allowed on school property without permission. The theft of electricity was not the sole reason Mr. Kamooneh was arrested. The latest development in this case is that the charges against Mr. Kamooneh have been formally dropped. 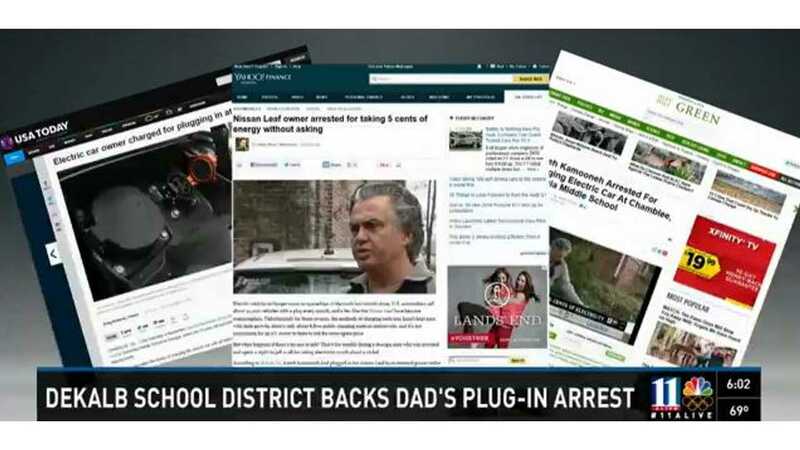 "Channel 2 Action News has learned the DeKalb County solicitor is dismissing criminal theft charges against a driver who plugged his electric car into an outlet at a public school." "Chamblee Police Chief and City Manager Marc Johnson told Channel 2's Jodie Fleischer he agrees with the prosecutor's decision to drop the charges, but he said this should spark an important debate about whether stealing four cents worth of electricity is in fact stealing." "To not do it and not say it's wrong implies, well then the entire neighborhood can go up there and start running extension cords." "They may be helping the environment, but power isn't free and they can't just go plug in anywhere they want to. They need permission." "I have no objection, I think it needs to be dismissed." "I think of my grandmother who used to steal Sweet and Low out of the little restaurant things, and could she have been arrested for that, maybe technically she could have, would it have been the right thing to do? No." Kamooneh still seems to be upset over the ordeal. WSBTV says Kamooneh only stole 4 cents of electricity, but that the arrest warrant estimated the theft at $10 to $25. Kamooneh spent 15 hours in jail and his arrest (processing, etc.) likely cost the city $1,000. Johnson says that it's often the case that processing of misdemeanors usually costs the city more $ than the cost of what's actually stolen, but in no way does that make theft okay. As for Kamooneh, it's apparently not over yet. WSBTV says that Kamooneh "considered suing the city of Chamblee because of his time in jail and some comments the chief made after the case went viral, but he's hesitant about wasting taxpayer money, so he's still weighing his options." We're not so sure a lawsuit is what's needed now. Rather, we hope Kamooneh accepts the dismissed charges as an informal apology and moves on.